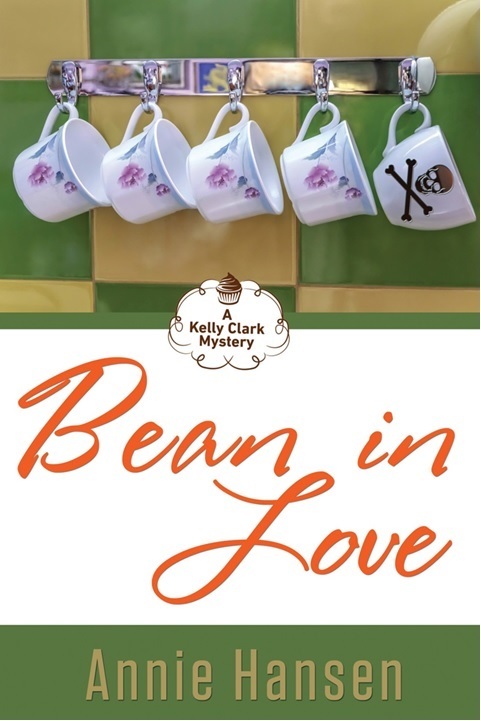 Bean in Love-A Kelly Clark Mystery #2 Launch Party will be held at the Geneva History Museum(113 S. Third St. Geneva, IL) at 1:00PM on November 8th. This is a free event open to the public. Annie Hansen will be reading a short excerpt from her new book as well as signing. Books will be available for purchase at this event. Coffee and light refreshments will be served. I am excited to announce the upcoming arrival of the second book in my Kelly Clark Mystery series. The book will be officially released on November 8th, 2014. Details of the launch party coming soon. Below is the first sneak peek of the cover as well as a short synopsis of the book, Bean in Love, A Kelly Clark Mystery #2.